ORLANDO, Fla. - Orlando city officials have been working with Uber and Lyft to improve the city’s downtown traffic flow on Friday and Saturday nights. 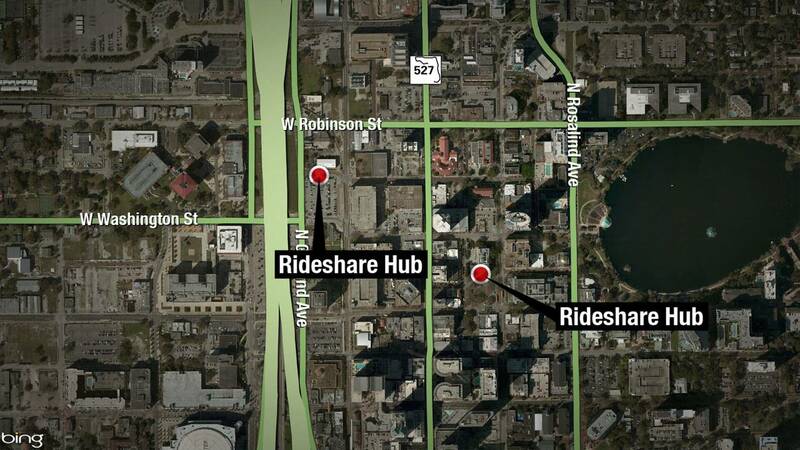 Later this spring, two rideshare hubs will be available in downtown Orlando. One hub will be located in the area of Magnolia Avenue near Heritage Square. The other hub will be located in the area of Gertrude’s Avenue near Jefferson Street. During this six-month pilot program people will be able to order a Lyft or Uber to pick them up at one of these hubs. Each hub will have restrooms, enhanced lighting and dedicated security.